If you or a member of your family is seeking an experienced and knowledgeable family lawyer in the Mississauga region, consider contacting Radley Family Law, one of Ontario’s leading firms. Radley Family Law has been serving clients in Mississauga and the wider Mississauga region for many years, during which time, we have developed a reputation for offering compassionate, effective counsel at one of the most difficult times in our clients’ lives. If you are considering initiating divorce proceedings or need advice on issues such as child custody or spousal support, it is in your best interest to consult with an experienced Mississauga family lawyer like those at Radley Family Law. Professional legal representation can ensure that you and your loved ones navigate this difficult time with the minimum possible strain. Led by former Ontario Family Responsibility Office attorney Rachel Radley, Radley Family Law is known as one of the most effective family law firms in Mississauga and the surrounding GTA. Child custody and access: At Radley Family Law, we believe both parents have a right to access to their children. Our team will seek the solution that best represents your child’s interests. Spousal and child support: Both married and common-law partners may be entitled to spousal and child support. In both cases, your Radley family lawyer will work tirelessly to represent your interests and the interests of your children. Separation agreement: You and your spouse or common-law partner do not need to go to court to settle matters between you. You can always come to an agreement yourselves and enter into a separation agreement in order to finalize issues of support, property and parenting. Our team can help you craft a separation agreement that ensures you have proper access to matrimonial property and assets. Property division: Besides deciding who retains custody of the children, the division of property is often the most painful part of a separation. The team at Radley Family Law will work to ensure that this process is fair and equitable for our clients. Uncontested divorce: Not all divorces need to be acrimonious – uncontested divorces are faster, simpler, and significantly less costly than more acrimonious divorces. 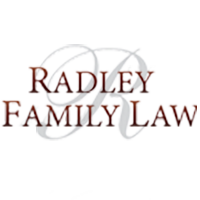 Contact Radley Family Law today to learn how we can expedite the process. Restraining orders: In some rare situations, our clients will seek to have a restraining order levied against their significant other. Although this is a complicated and often painful process, we can help you access the legal order that will make you feel safe. If you need advice in any of these fields, feel free to call Radley Family Law at 905-669-2109, fill out an email contact form to book a free no-obligation consultation, or message one of our live chat representatives at RadleyLaw.ca. The experienced family lawyers at Radley Family Law can guide you through what is surely a difficult period in your life.